This Celine Nano Luggage tote is made from drummed calfskin in the Dune color with signature winged sides and antique silver-tone hardware. 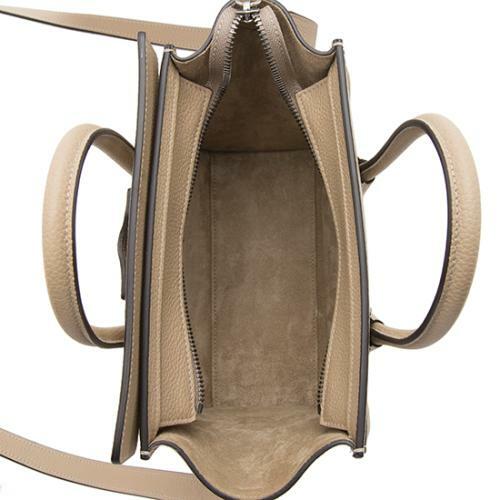 Details include two rolled top handles, a detachable shoulder strap, front pocket, and tonal suede interior with one open pocket. 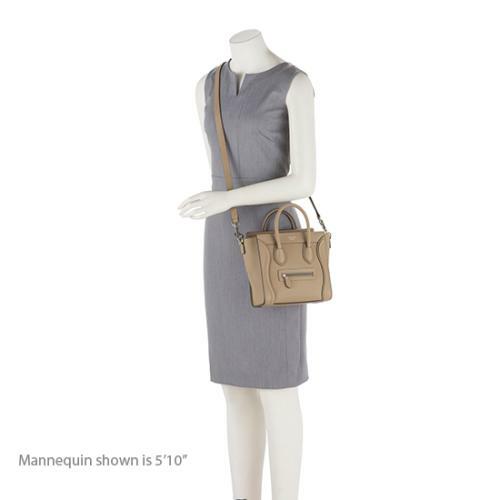 Carry this style by the handles, over the shoulder, or cross body. 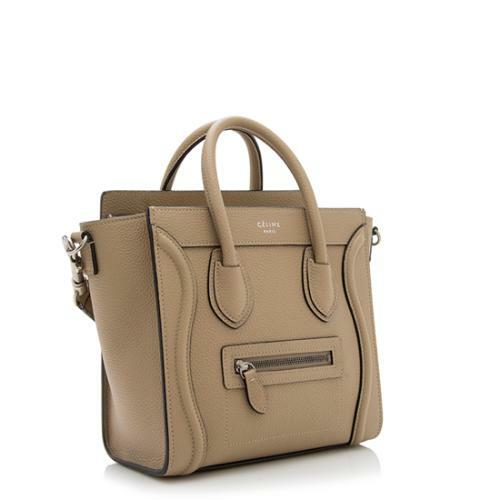 Bag Borrow or Steal is not affiliated with Celine®. Bag Borrow or Steal guarantees the authenticity of this item. Celine is a registered trademark of Celine. We'll deduct 50% of your total rental fees from the $2700 purchase price of this item*. So go ahead and fall in love with it!